I have written about Tapion in other posts and on facebook. It is a unique church that has been meeting every Sunday afternoon for nine years. 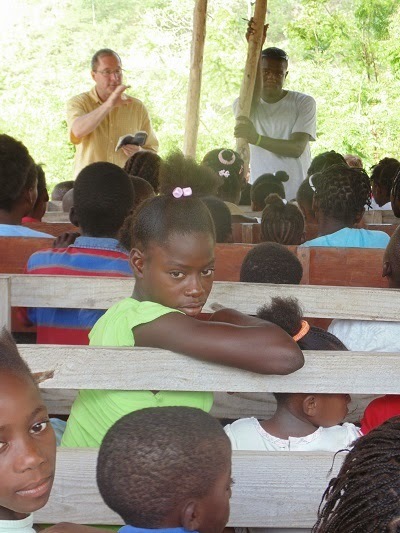 Jhony and Roseline faithfully show up every week and 75 to 100 kids show up as well. 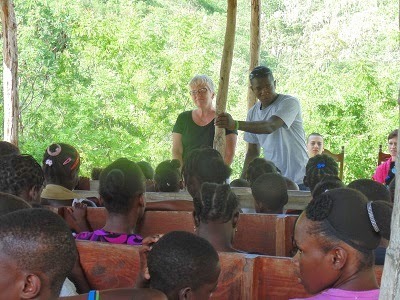 This is a pole church with a dirt floor and wood benches. 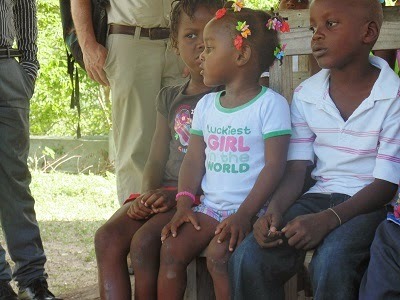 It is located about 15 minutes up the highway from Haiti ARISE. We park along the side of the road and walk up the side of the mountain to get to it. The children that come are from the mountains on both sides of the highway. 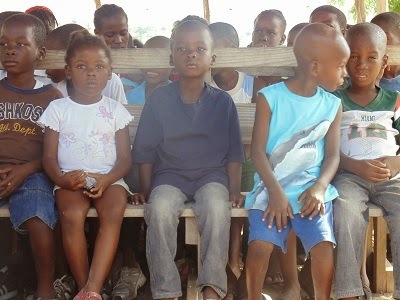 They are very poor, but they know scripture and songs by heart and have a thirst for Jesus. When teams come and decide to visit Tapion, they prepare a story and some songs and sometimes send them home with a treat. The last teams that were here decided to do some much needed repairs on this little church. A donation had been made previously for this purpose, so they have started some upgrades. It is a very humbling experience to attend this church and to share a little about the love of Jesus with them.